Finding the perfect Sydney-based Accounting candidate is only half the battle; persuading them to choose to work for your business is the next hurdle you need to jump over. It’s this part that catches out many employers and often leads to a lot of wasted time and money. To ensure you have the best possible chance of securing your chosen candidate, here are our top three steps to presenting a salary package that top Accounting candidates can’t refuse. Get an idea of what other companies are offering in the Sydney Accounting sector by speaking to a recruiter or review industry averages in the Richard Lloyd Sydney Accounting Salary Report. Whilst the Salary Report does include a lot of specific data, including variance for location, keep in mind that these are only averages, so it is important to take other influencing factors on the role into account. These influencers may be location, demand, competition, industry, experience or the tier of candidate required. Understanding these factors not only make it easier to know what candidate is a good fit for you, but also what external opportunities are available to them and how much salary negotiating power you’ll have. As you progress through the hiring process, comparing your candidate’s salary expectations and skills will also give you further confirmation of the salary range you need to offer. No one likes a time waster so it’s critical to know your financial limitations from the outset. It is not uncommon to see businesses spend significant amounts of energy on candidates they can’t actually afford, which not only wastes their time, but also in the long run can end up damaging their employer brand. When you consider that in today’s highly competitive Accounting talent market, a company having a good employer brand is often the difference between securing and losing great candidates; it really is important to avoid any potential negative word of mouth. While paying competitive salaries may help to attract talented accountants to your team, offering other tangible financial benefits like bonuses, a premium superannuation scheme or even the chance to own shares in the company can also be appealing. ​In addition, consider that most Accounting professionals these days are looking for more than just a basic salary package. There are numerous non-financial benefits that can also be considered, and these are often just as important. Standard additions like job variety or a structured career progression plan, work/life balance offerings, and training and development opportunities, are always helpful. 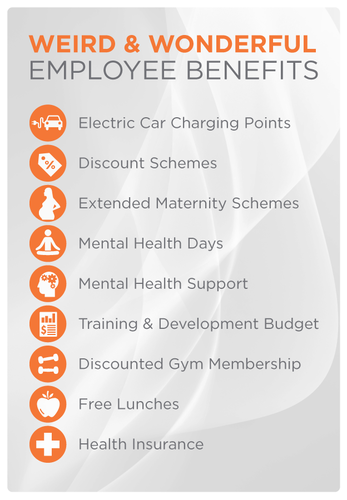 However, we’re seeing employers getting a lot more creative with their job perks, offering salary package additions such as extra maternity leave, pet-friendly workplaces, or paid childcare. Here are some examples from a few of Australia’s largest employers. It pays to get creative to see what you can do to truly set your company apart from the crowd. When doing so, remember, sometimes it’s the small details that clinch the deal! If the role remains outside of the market salary range, take some time to re-evaluate. Look at whether you can sacrifice some of your essential skills. Also consider the calibre of candidate the role actually requires. While a top-tier candidate is nearly always preferable, the role you’re recruiting for may not actually require one. Also, weigh up the cost of not having someone in place. If you are unable to recruit someone for a period of time due to the salary package, what is the direct business cost of this? One or two months without this accounting resource may cost more to the business than slightly increasing the salary package. Furthermore, it’s important to stay ahead of the game. The Sydney Accounting talent market is incredibly competitive, and delays can cost you the perfect candidate, so if you think you may need sign-off internally for a salary increase, ensure that approval occurs as soon as possible. When presenting a job offer it is important to personalise it to the specific candidate based on their personal and career motivators using information gathered from interviews or early feedback from the accounting recruiter. This lets you shape your package so that the right things are immediately obvious to your candidate. Often this isn’t a case of revamping your standard remuneration package, instead, it’s about giving them a personalised feel. If a candidate talks a lot about the importance of career progression but shows little interest in their work/life balance, it makes no sense to list all the ways your company supports a work/life balance. Instead, adjusting the presentation of your offer to focus on the numerous opportunities for advancement and ongoing development will highlight your value to that specific accounting candidate. We always recommend presenting your best offer the first time around. It is common for job applicants to negotiate but presenting a below par offer with the view to leaving some negotiation room will often backfire. While the Accounting market is incredibly competitive, there are numerous things companies can do to ensure they present a job offer that top accounting candidates simply cannot refuse. Consider external factors like average salary, competition, location and more to understand what salary you should be offering. Remember to stick to your financial limitations and if you need any additional budget, request it in advance to avoid delays. Also look at what your company has to offer besides a great salary. Finally, bring it all together by tailoring your package to your candidate’s personal and career motivators together with their specific needs. There’s a lot to consider when creating the perfect salary package and engaging the right Accounting recruitment specialist will help to ensure that you are on the right track from start to finish. If you’d like to find out how we can help you, contact us today. For more recruitment and accounting insights, be sure to follow us on LinkedIn for our latest articles.